"Globe myBusiness is all about spotlighting technological innovations especially when it is geared to contribute to the success of Filipino entrepreneurs. This edition of the Globe myBusiness Academy will give them an experience that we hope will help them improve their business materials through food styling and food photography on social media," says Derrick Heng, Sr. Advisor for Globe myBusiness. Filipino entrepreneurs will be introduced to programs and solutions that will greatly enhance and improve their businesses through the myBusiness Academy. Globe will also highlight tailor-made features for business owners. It will also launch its latest digital rewards app Rush, and the Globe myBusiness ThePLAN bundled with the latest Huawei P10 mobile phone. With the Rush App, one can create a custom-branded loyalty app to keep their customers coming back. Monthly subscription is P1,299 and business owners can keep track of their customers purchases. It is also easy to set up and one can customize it easily to tailor-fit the business. The app also provides the owners with real-time analytics and customer insights. Unilever Food Solutions, one of the first Globe partners to use Rush will be sharing their experience in using the app and will talk about customer loyalty during the dialogue on June 2. "Globe is about creating possibilities. Street food is about inclusivity, and we want to make sure everyone learns the trends, the opportunities, and the future of this culture," adds Heng. 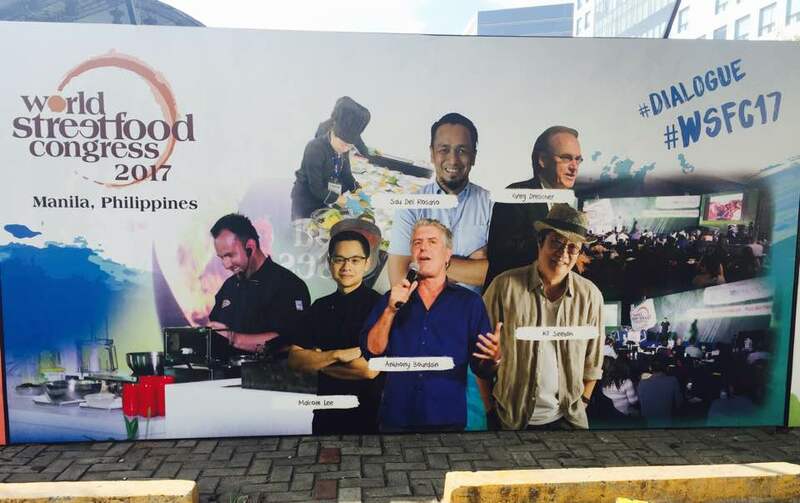 At this year's World Street Food Congress which is held at the Concert Grounds of SM Mall of Asia, Globe is a proud supporter and sponsor of the event. This year's WSFC17 is presented by Tourism Promotions Board (Philippines) and Makansutra. Event speakers include Greg Drescher, VP of Strategic Partnership and Leadership at Culinary Institute of America; Anthony Bourdain, Chef Sau del Rosario, and KF Seetoh, founder of World Street Food. Also in attendance are Michelin Star chefs like Malcolm Lee from Singapore and New York-based Thai chef Andy Yang. There will also be a Hackathon, and everyone can pitch fresh and new ideas in the world of heritage street food culture. World Street Food Congress is from May 31 to June 4 at the SM Mall of Asia Concert Grounds.